For Amazon to maintain control on product quality, consumer shopping experience, and enhance buyer confidence, it has placed restrictions on certain categories that 3rd party sellers are able to sell. When buying on Amazon, general consumers are unable to distinguish the merchant they’re buying from, so ultimately the shopping experience is linked back to Amazon and it is Amazon’s reputation on the line. 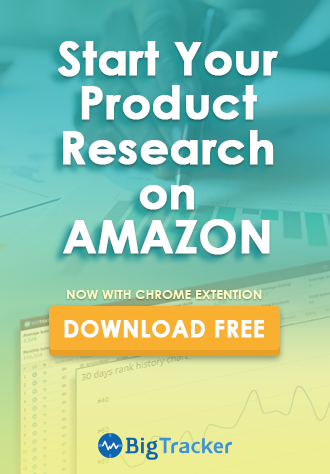 If you are considering selling in any of the restricted categories on Amazon, most likely you either already have a solid product idea, or you are on the Professional Selling plan and trying to expand your online business. Make sure to check Amazon’s list of Categories and Products Requiring Approval. 1. Product condition – some categories only allow products in new condition or requires special approval for refurbished or Collectible conditions. For example, Collectible Books and Collectible Coins both will need special approval. 2. Product page style guide – Amazon has already provided templates for specific categories that illustrate the style requirements for those categories. Some of the requirements include image requirement, safety information, directions, packaging, and variation relationships. 3. Product identifier number or Brand Registry – almost all items will need Global Trade Identification Number (GTIN), such as a UPC or EAN to identify the product, but Brand Registry with Amazon will allow you to bypass the (GTIN) requirement. After you have met the minimum requirements, Amazon also asks for three separate acceptable commercial invoices with 30 quantity/units of the appropriate products for most categories. Having the invoice from a reputable or acceptable supplier or wholesaler is the key to obtaining Amazon approval. 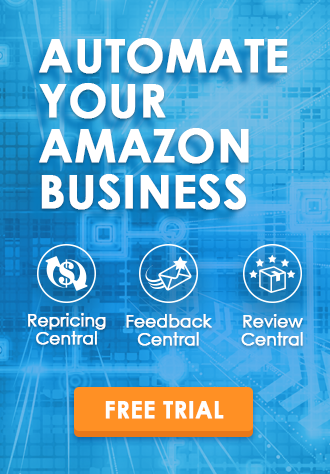 If the invoice is from a supplier that Amazon has already recognized or approved before, then it will help speed up the Amazon representative’s decision. Depending on your previous selling history with Amazon, it may be easier for you to get approval in related categories. For example, if you are already approved for “Clothing & Accessories”, it will be easier for you to get approved for the Shoes, Handbags & Sunglasses category faster because you already have invoices from Amazon approved suppliers. Moreover, Amazon says that “You are not required to have your own company website, but if you have one it will be helpful to us to review it during the application process”. Also for some categories there will be specific requirements, such as refund policy, packaging, material or ingredients, shelf life, and industry regulations. One last thing to note is that the Holiday Selling Guidelines in Toys & Games is a new category with special requirements. Other than good seller metrics, sellers are eligible to sell toys and games during the holiday season if they meet the time and order volume (seller must have shipped 25 orders between September 1 to October 31) criteria. As long as sellers meet the above criteria, they are not required to submit a request for approval. Please refer to Seller Central for the latest update. What about the professional ungating services? There are service providers on the market that specialize in helping sellers get ungated on Amazon. Most of the professional ungating service providers claim Beauty, Health & Personal Care, and Grocery are the three hardest categories to get approved for. It is mostly due to the additional documents required to ensure safety and meet industry regulations. What we recommend is that if you have already found a well-established supplier or manufacturing partner who is experienced with preparing documents to pass the regulations, then try to submit the approval request on your own. Many professional Amazon Sellers who have been successfully approved have shared a tip on how to get approved – keep trying and never take the first NO from Amazon. However, when you find yourself busy with other aspects of business such as logistics, finance, or marketing, it would be wise to hire a professional service, so you can focus your time and energy on other matters. Afterall, some of these ungating services offer a money back guarantee. In conclusion, by implementing category restrictions Amazon is trying to maintain control on the quality standard of the products offered on its platform. Its intentions are good for Amazon shoppers and, while it may be a headache, it’s not necessarily a bad thing for sellers. Although the restriction builds barriers to sell in some product categories, at the same time it also helps cut down on harmful competition for honest sellers. Are there any specific professional ungating services that you would recommend? However, it still depends on the product category that you sell. Each company has its own specialty. at present i am feel so happy just for your inforation. Thank you for the great write up Brooke. Let us know what other topics you are also interested in. BQool hopes to share more useful information with our readers.